One of the best ways to set up a specialist job aboard is to find construction jobs overseas. If you have construction skills and are looking to move overseas to offer your skills as a tradesman, you are only a plane ticket away from your dream construction job abroad. These important tips for finding construction jobs overseas can help you find the right job for you abroad. It’s easy to start browsing the many websites on the Internet that advertise construction jobs overseas. However, it is important that you first determine where you want to go first and then research the place on an economic and social level before visiting the websites with overseas job listings. This is important, because it helps you focus your search, which makes your overseas job hunt more effective. Make a list of prospective countries you would like to work and then move on from to here and look for companies to contact. Consider the culture, climate, language, security, health care and exchange rate of different places you would like to work. Some countries offer their working population, including expats great benefits while others do not. Examine the social factors of your target countries and do your due diligence to make informed decisions about where you decide to work abroad. Global economic hardships have made job markets in different countries to shrink, including jobs in the construction market. However, some countries like emerging economies in South American countries are doing quite well with expansive housing projects and booming business in the construction industry. Use your macro level (social and economic) research to narrow your list of prospective foreign countries to work and identify your ideal country (or countries) you would actually like to work. After your macro level research, you will identify the ideal country you want to focus your job hunt. Once you know the country you would like to work, save up some money and make a brief visit to the country to get a feel for the people, customs, construction sites and overall working conditions. Not visiting your ideal country of focus beforehand is tantamount to buying a mortgage unseen. Browse different online construction job listings in your country of focus to find construction companies in the country you can work for and arrange for interviews with select companies in the country. Carry your professional curriculum vitae and any other relevant supporting documents detailing all your construction skills and experiences with you when you visit the country. After a successful trip to the overseas country you would like to work, come back home and get your affairs in order. Do not let the excitement of finding construction jobs overseas make you rush to fly out to your new work residence abroad. Take your time preparing to move your life abroad so you do things right. Arrange for an overseas working visa, sell out belongings in your home that you don’t need, consolidate any other belongings that you need stored and or shipped out. Also, sort out matters for goodwill. 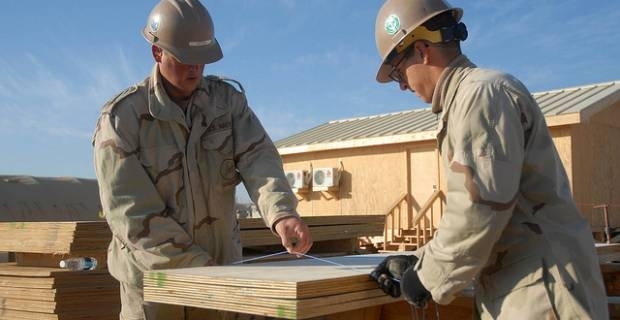 Adequate research, proper planning and preparation can the difference in finding a rewarding construction job overseas.